When you buy a StoveShelf™ product, you can feel confident not only in the quality and performance of our magnetic shelves, but also in the fact that they are manufactured in the USA. Gaining kitchen storage has never been easier, simply select the finish that best compliments your kitchen stove, add it to your cart, and proceed to checkout with the benefit of free shipping. 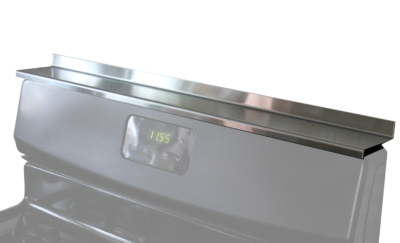 StoveShelf™ - Stainless Steel. Magnetic design means ZERO installation. Simply take it out of the box, set it on your stove, and you're done! Have more questions? Watch our Product Video and check out our FAQ page! Proudly made in the USA. StoveShelf™ - BLACK - 30”. 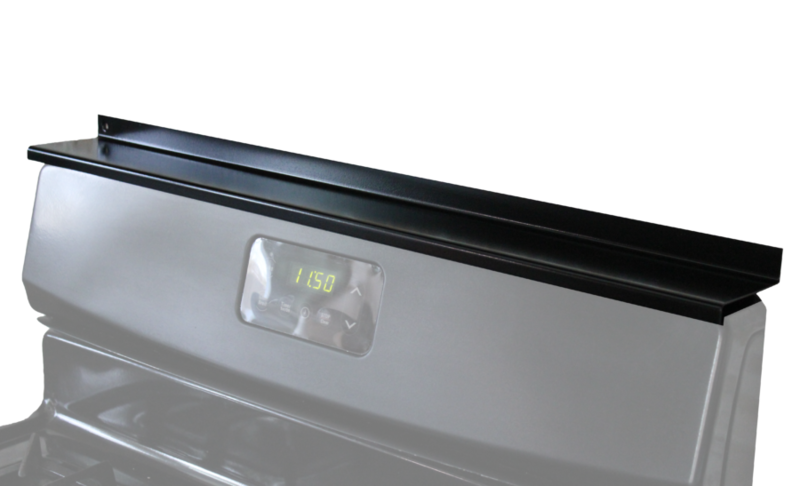 Polished black powder coat finish matches your black kitchen stove perfectly. Don’t fuss with messy installation; let our patent-pending magnetic design do the work for you. Check out our FAQ page for answers to common questions! 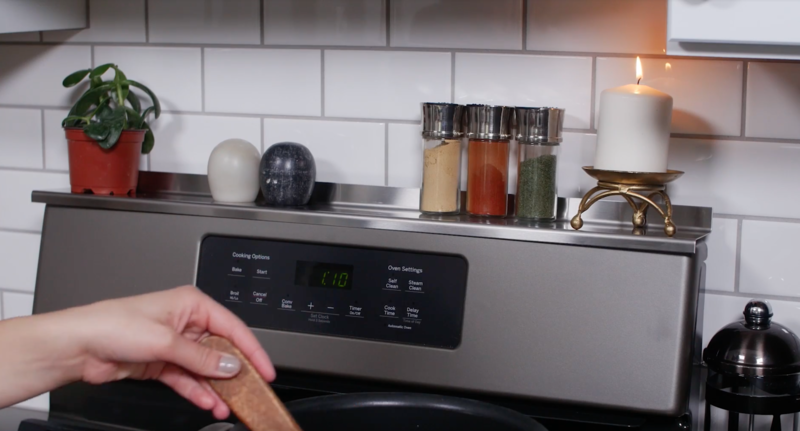 StoveShelf™ is a kitchen gadget that never goes out of style. Made in the USA. StoveShelf™ - WHITE – 30”. High quality steal and powder coated finish, this is the perfect accent to your white kitchen stove. Just take it out of the box, place on your stove, and let the magnets do the rest. That’s it! For answers to your questions please check our FAQ page! 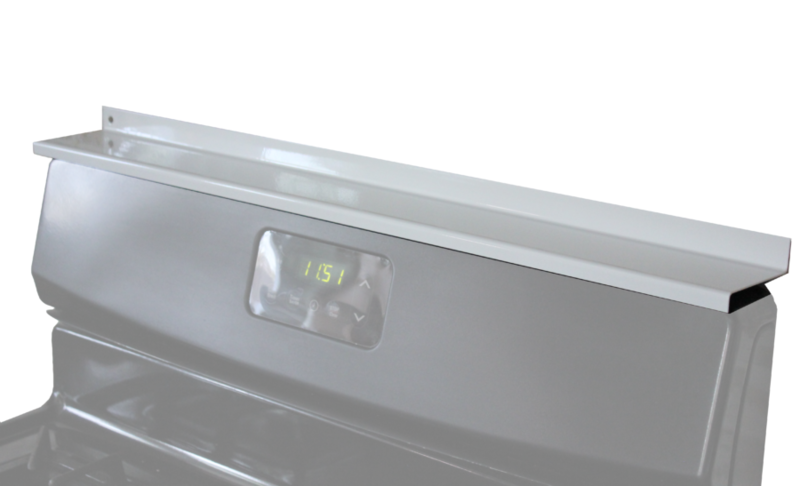 StoveShelf™ is made in the USA.